We’re proud of our accreditation’s and are members of a number of Associations. 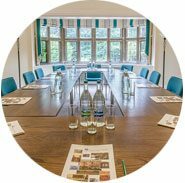 We believe in offering the best possible service to our guests; whether attending a conference, formal dinner or staying overnight with us. Therefore it is important for us to ensure we strive for the accolades that reflect the standards of service we have. 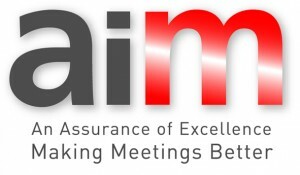 AIM is a multi-faceted accreditation scheme, designed by independent industry professionals to cover the essential compliance, competencies and capabilities meetings and events venues and suppliers should adhere to in their everyday operations. To ensure this, AIM: checks legal compliance; enforces a strict business code of conduct and assesses facilities. Our self-catering cottages are 3* rated by Visit England. You can book them online here, or by calling on 01223 33 06 30 or emailing accommodation@westminster.cam.ac.uk. We’re proud to announce that we recently received Living Wage accreditation. You can view the press release here. We work closely with the following Associations. 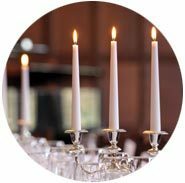 We also work closely with a number of other local suppliers; you can see our recommended suppliers list here. Being members of the MIA keeps us ahead in the ever-changing meetings industry, and it gives us access to focused training programmes and networking events with our colleagues across the sector. We were short-listed to receive an award for the Meeting Industry Association Awards. 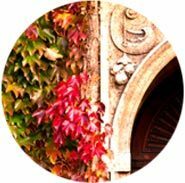 Conference Cambridge is the official venue-finding service for the University of Cambridge. Our 38 en-suite bedrooms are available to book throughout the year. Whilst we do have students here during term time, we’re delighted to be able to accept bed and breakfast bookings alongside them. We’re proud of our excellent, independent feedback and hope you’ll be encouraged come to stay with us. You can book online here or by calling on 01223 33 06 30 or emailing accommodation@westminster.cam.ac.uk. 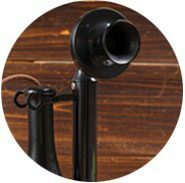 In addition to this, we’ve received some wonderful testimonials from some of our clients which you can find here.